Many of you are interested in learning Mathematics and would like to perform calculations when you are free or when you have work. The normal calculator in any smartphone supports only the basic arithmetic operations. If you are in a situation where you have a smartphone, and no idea about the best app to perform calculations or learn basics of mathematics. Then here is the list of the apps that can help you to improve your skills. 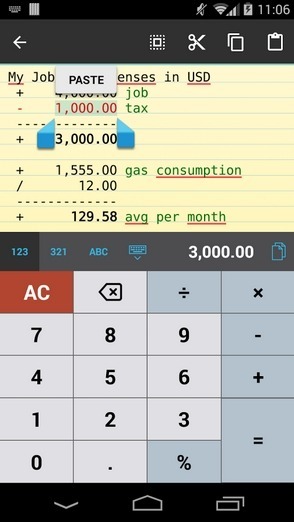 If you have a habit of forgetting your expenses at the time of calculations, then you can make a note of expenses along with calculation using this app. CalcTape is the app that makes your arithmetic process visible and helps you to perform multiple calculations at the same time. If you made any mistake while entering the values and you have noticed it at the end of the calculation. Then you can mark the wrong number in place via double-tap and correct instantly. All the results will be adjusted automatically after your correction. This application helps to perform percent calculations for TAX and discount easily. This application also helps you to copy your result and can be used for other calculations. 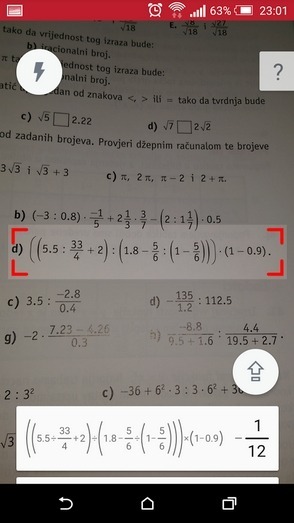 PhotoMath app uses the camera for solving a problem, it displays the result instantly when the camera points towards the problem. It also displays the result of the problem in a step by step format, and when you click on the Steps button, it will help users to learn the problem easily. 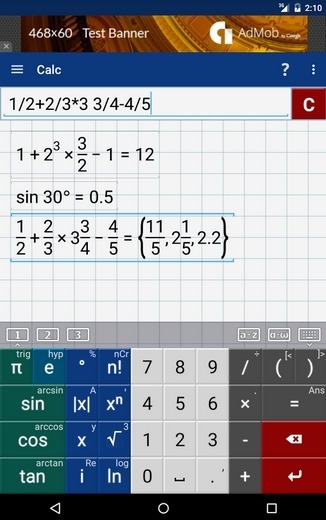 This application supports the basic mathematic calculation like Arithmetic Calculations, Fractions, Decimal numbers, Linear equations and Basic algorithms. The only drawback with this app is that it cannot detect the handwritten text, it only supports the printed problems in Math books. This Application is helpful for the students when they get stuck while solving a problem, as well as can be used by teachers and parents to check their homework easily. This application consist of the predefined mathematic operations like Basic Math, Pre-Algebra, Algebra, Trigonometry, Pre-calculus, Calculus, Statistics, Finite Math, Linear Algebra and Chemistry. It will help you to get the answer to your problem instantly just by entering the values. If you want to know the step by step procedure of the problem, then you must be a subscriber. The Subscribed version consists of the advanced topics and also consists of several solved examples. This application can be useful in learning as well as calculations. MyScript Calculator is one of the best apps designed for the Android devices where you can feel the digital experience. In this, write the mathematical expression on the screen and then it is converted to the digital text, and then the result is displayed. This application saves the time of entering the values manually using the keypad. The operations supported by this application are basic Operations(+,-,*,/,+/-,1/X), Trigonometry(sin, cos, tan), Inverse Trigonometry(acos, asin, atan), Logarithms(ln, log), Constants(e,phi). 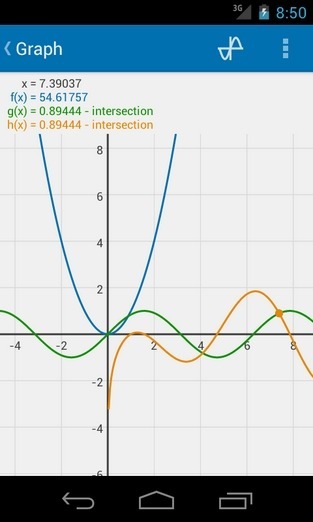 Algeo Graphing app supports normal calculations and graph designing. 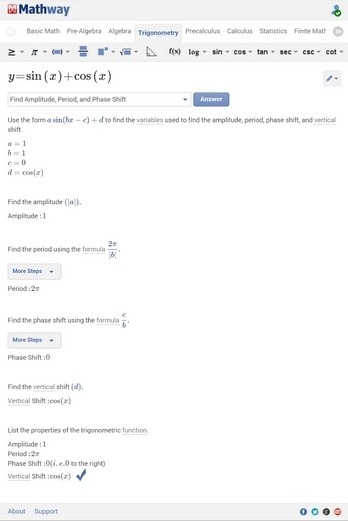 This application deals with the topics of algebra class like Symbolic Differentiation, Definite Integrals, Calculate Taylor-series, Equation solving. This application also supports the Trigonometric functions and Hyperbolic functions; radians and degrees; variables; and scientific notations. This application has the feature where the value of the coordinates and graph is generated just by entering the details of the functions. Graphic Calculator app has the most advanced feature of the Scientific Calculator, Graphing Calculator, Fraction Calculator, Algebra Calculator and Matrix Calculator. The functions of the app are in such a way that you can get the result of the input instantly on the screen and doesn’t feel lagging. 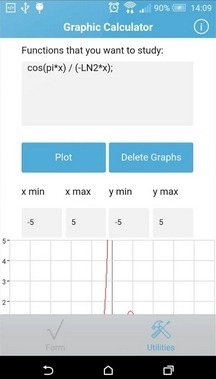 The Graphing ability of the app helps to generate the values of the coordinates and display them on the screen and the Graph generated is stunning. This scientific graphing calculator integrated with algebra is an indispensable mathematical tool for students in elementary school, as well as to those in college and graduate school. Most importantly it is available for free on Google Play Store. If you are in search of good mathematic tutorials in your pocket, then you have found it. 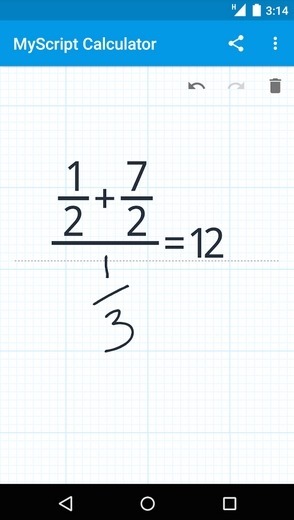 iMathematics is a perfect app that consists of the tutorials on basic topics in mathematics. Each and every topic in the app has a detailed explanation about the topic. If you want the tutorials of the advanced topics, then you’ve to get the pro version. It is one the best app for beginners to learn the basics principles of the complex mathematics functions. It has the tutorials of the topics like Arithmetic, Algebra, Plane Geometry, Solid Geometry, Analytic Geometry, Goniometry, Analysis, Trigonometry, and Probability. 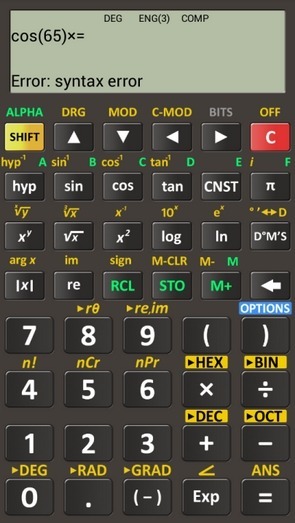 If you are looking for a perfect android Calculator with all the functions, then ‘Scientific Calculator (PowerCalc)’ is the best app available on the Google play store. The features of this app are similar to that of a physical scientific calculators, i.e., Casio FX-991ES. The main offering of the app is that you get a Real equation view editor with brackets and operator priority. Other features include a component or complex polar mode, Degrees, radians and grads mode for Trigonometric functions. The function and the design of the app are in such a way that a person can easily move from a physical calculator to an Android Scientific calculator, i.e., PowerCalc.